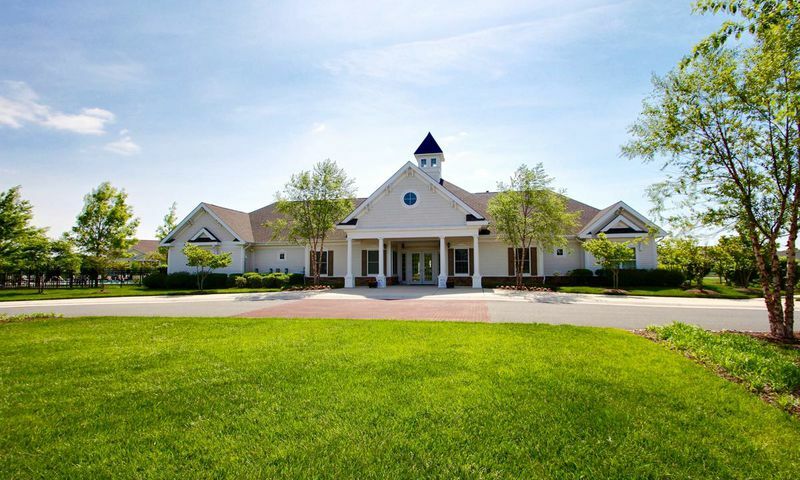 Nassau Grove in Lewes, Delaware is a gated community with a variety of home and floor plans in a great location with easy access to all of the resort area amenities. Homebuyers of all ages are welcomed in Nassau Grove. This non-age restricted community offers an active lineup with amenities specifically appealing to homebuyers who enjoy a flexible lifestyle within a diverse neighborhood. Walking trails and scenic ponds with fountains and waterfalls are scattered throughout this popular community and wide boulevards give it a spacious feel. The single-family homes in Nassau Grove have condo-type ownerships. Shops, retail outlets, restaurants, movie theaters, parks and beaches are all in close proximity. Thoughtfully planned, the stunning 6,000 square-foot clubhouse in Nassau Grove offers a unique lineup of invigorating amenities. It includes a state-of-the-art fitness center and is surrounded by walking and biking trails for staying in shape. Hobby rooms provide the ideal gathering place for arts and crafts enthusiasts. The library and billiards area are perfect for rest and relaxation. The Nassau Grove clubhouse also provides computers with Internet access to allow residents to stay connected and take care of business. Outdoors, residents can find plenty of ways to keep busy. Bocce ball, tennis, volleyball, and horseshoes are all popular with the residents. Nassau Grove even includes a kid's playground. A sparkling outdoor pool is just right for relaxing or cooling off during hot summer days. Construction of Nassau Grove in Lewes began in 2006 by K. Hovnanian and in 2013 the community was sold out with 244 homes. All residences are single-family ranch-style homes with condo-type form of ownership. Eight different models are available on a resale basis and they range in size from 1,360 to 2,420 square feet - all have first floor master suites suitable for modern living. Homes generally have two or three bedrooms, but fourth or fifth bedrooms are available by finishing the basements that are included with each home, or by adding optional lofts. Homeowners' association dues in Nassau Grove at Lewes includes all lawn care, landscaping and irrigation. Residents of Nassau Grove in Lewes enjoy maintenance-free living with an unparalleled array of activities. With all the available on-site amenities, Nassau Grove provides a true resort at home lifestyle close to the beach. Year-round scheduled activities include Mah Jongg, yoga, game night, poker night, book club, card club, and happy hour. Scheduled summer activities include water aerobics and happy hour at the tiki hut. In addition, residents also have monthly clubhouse meetings. The fitness center also has circuit training twice a week. Nassau Grove in Lewes is conveniently situated just west of Route 1. Multiple retail locations, movie theaters, and home improvement stores are all located on Route 1. It is only a few minutes into Lewes' Historic District with its quaint shops, museums, inns, and whimsical restaurants. Cape Henlopen State Park with its beautiful beaches, bird sanctuaries, and nature trails is just outside of Lewes. The Lewes area is perfect for fishing, crabbing, hiking, biking, bird watching and boating activities. Nassau Valley Vineyards is a great destination for wine connoisseurs and offers tours and wine tasting events. Dover, Delaware can be reached in less than an hour and provides many opportunities for major shopping, fine dining, and cultural entertainment. There are plenty of activities available in Nassau Grove. Here is a sample of some of the clubs, activities and classes offered here. Nassau Grove sold out in 2013. Homebuyers can select one of the models offered on a resale only basis. Most homes include two to three bedrooms, two to three bathrooms, and an attached two-car garage. The full basements offer additional room for entertaining or storage. 55places.com is not affiliated with the developer(s) or homeowners association of Nassau Grove. The information you submit is distributed to a 55places.com Partner Agent, who is a licensed real estate agent. The information regarding Nassau Grove has not been verified or approved by the developer or homeowners association. Please verify all information prior to purchasing. 55places.com is not responsible for any errors regarding the information displayed on this website.